Master of Arts in Economics, New Economic School, Moscow, Russia. Pavlova, Anna (2000): “Essays in Capital Markets,” Dissertation (Graduate School of Arts and Sciences, University of Pennsylvania). Pavlova, Anna and R. Rigobon (2010): “An Asset-Pricing View of External Adjustment” In: Journal of International Economics, 80, pp. 144-156. Winner, Fondation Banque de France project funding award, July 2007. Pavlova, Anna and R. Rigobon (2008): “The Role of Portfolio Constraints in the International Propagation of Shocks”, Review of Economic Studies, 75, pp. 1215-1256. Basak, Suleyman, D. Cass, J.M. Licari and A. Pavlova (2008): “Multiplicity in General Financial Equilibrium with Portfolio Constraints”, Journal of Economic Theory, 142, pp. 100–127. Basak, Suleyman, A. Pavlova and A. Shapiro (2008): “Offsetting the Implicit Incentives: Benefits of Benchmarking in Money Management”, Journal of Banking and Finance, 32(9), pp. 1883–1893. Awarded a London Business School Centre for Corporate Governance research grant, May 2007. Basak, Suleyman, A. Pavlova and A. Shapiro (2008): “Optimal Asset Allocation and Risk Shifting in Money Management”, Review of Financial Studies, 20(5), pp. 1583–1621. Winner, Institute for Quantitative Research in Finance (Q Group) project funding award, 2003. Pavlova, Anna and R. Rigobon (2007): “Asset Prices and Exchange Rates”, Review of Financial Studies, 20(4), pp. 1139–1181. Crass, David and Anna Pavlova (2004): “On Trees and Logs”, Journal of Economic Theory, 116, pp. 41–83. Basak, Suleyman and Anna Pavlova (2004): “Monopoly Power and the Firm’s Valuation: A Dynamic Analysis of Short versus Long-Term Policies”, Economic Theory, 24, pp. 503-530. Longer version reprinted in A. Citanna, J. Donaldson, H. M. Polemarchakis, P. Siconolfi, and S. E. Spear, eds., 2005, “Festschrift for David Cass: Essays in Dynamic General Equilibrium Theory,” Springer. 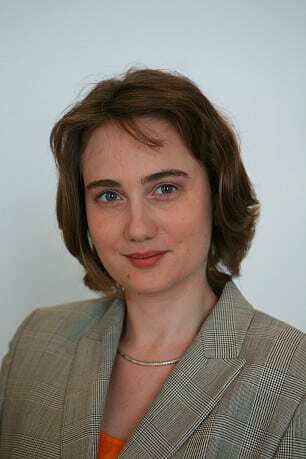 Basak, Suleyman and Anna Pavlova (2011): “Asset Prices and Institutional Investors”. American Economic Review, American Economic Journal: Macroeconomics, Econometrica, Economic Journal, European Economic Review, International Economic Review, Journal of Economic Dynamics and Control, Journal of Economic Theory, Journal of Finance, Journal of Financial Economics, Journal of Financial and Quantitative Analysis, Journal of International Economics, Journal of Monetary Economics, Journal of Political Economy, Management Science, Mathematical Finance, Review of Economic Dynamics, Review of Economic Studies, Review of Economics and Statistics, Review of Finance, Review of Financial Studies.